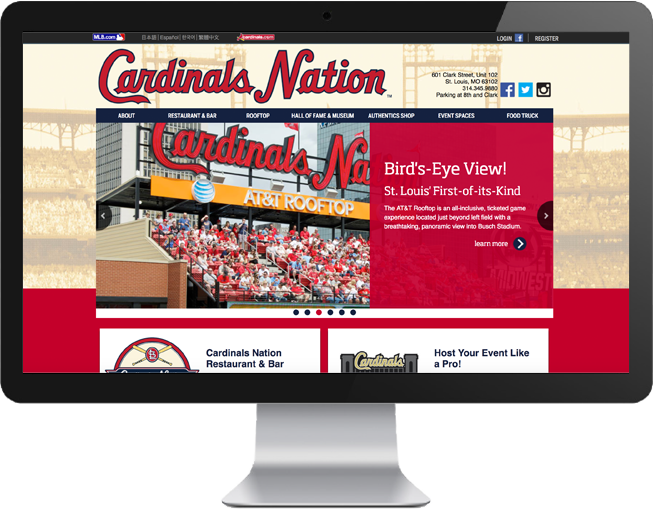 Cardinals Nation previously leveraged the St. Louis Cardinals’ Facebook, Twitter, Pinterest and Instagram presence, and had recently launched its own Facebook page. With the page active for only three months, Pan Galactic needed to find a way to help Cardinals Nation take their social media program to the next level to help support businesses and increase event bookings and traffic to its restaurants, museum and shopping venues. After auditing its current social media, Pan Galactic developed a social media strategy that highlighted venues, events, dining options and how fans have fun at Cardinals Nation to help establish the brand as the premier entertainment venue for St. Louis residents and tourists. Pan Galactic also launched Facebook ad campaigns increased wedding and corporate event bookings at Cardinals Special Events.